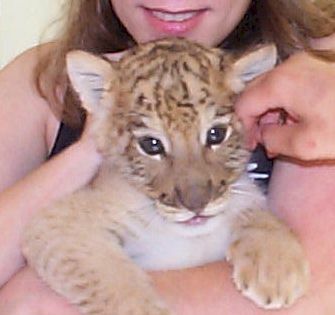 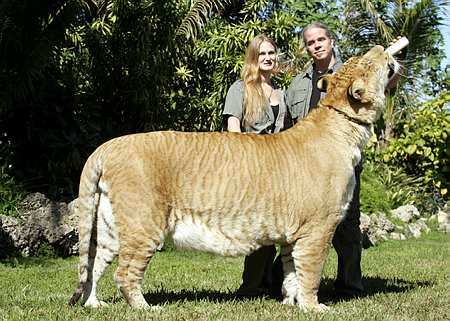 The Liger is a hydrid cat born of the union of a tigress and a male lion. 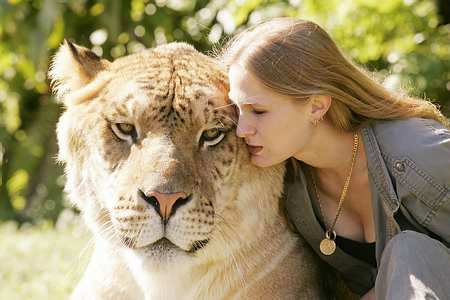 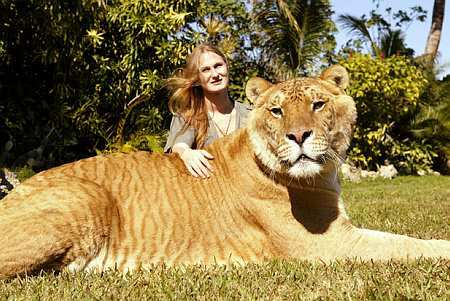 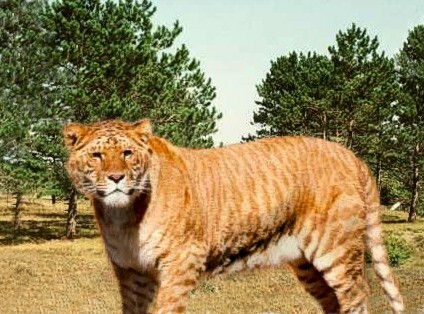 The Liger, as well as hybrids between different feline species, is the result of a completely artificial crossing. 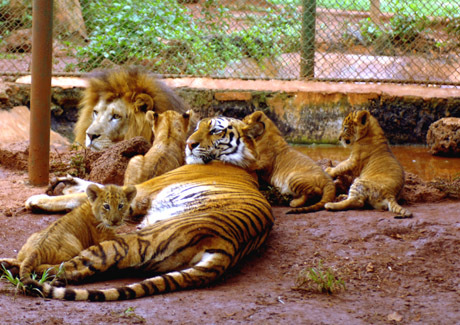 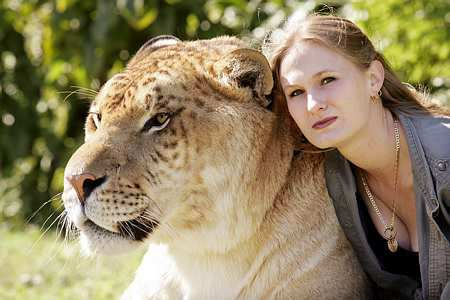 There is no possible natural hybrid feline, given the geographical distance, different periods of reproduction and especially the behavior of each species with respect to the other. 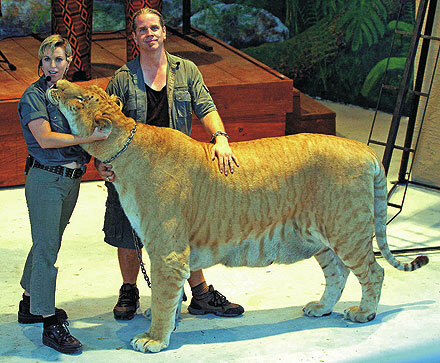 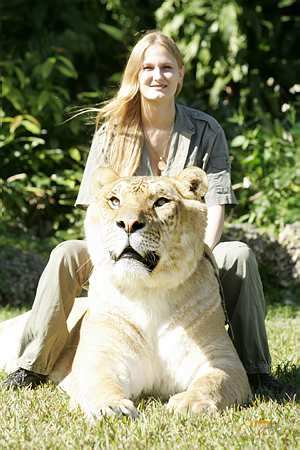 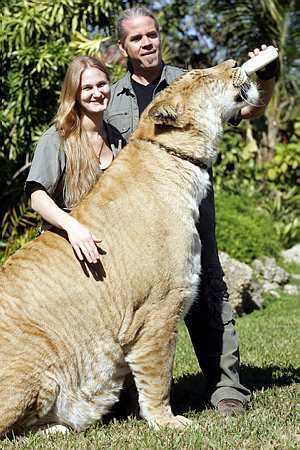 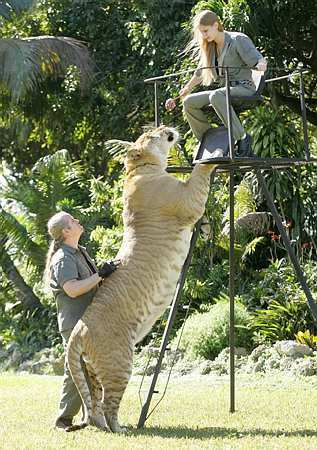 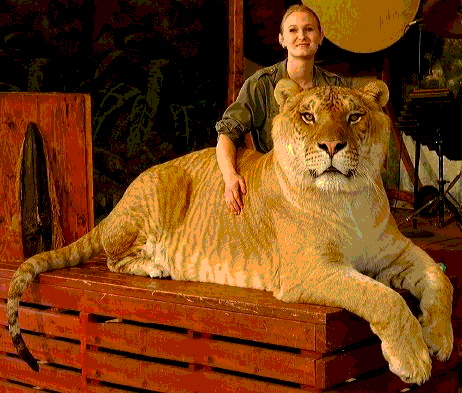 The Liger is a HUGE lion/tiger that can weigh up to 500kg!